SOLUTION: three quarter sleeves (that are slightly fitted! ), and a circle hem that shows a little leg. Ok, a little legging. 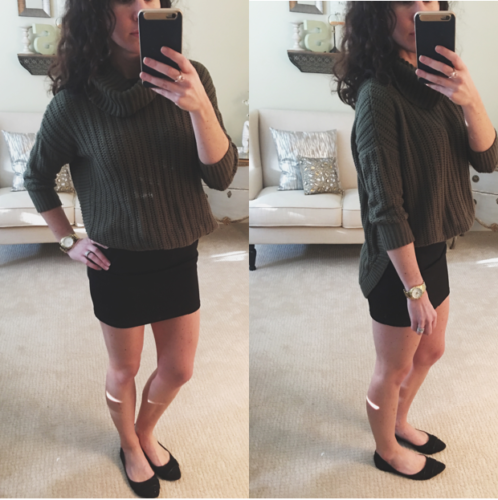 Soft, breathable knit! Warm but not so hot that you’ll double as a turkey roaster on Thanksgiving! I’m in love. 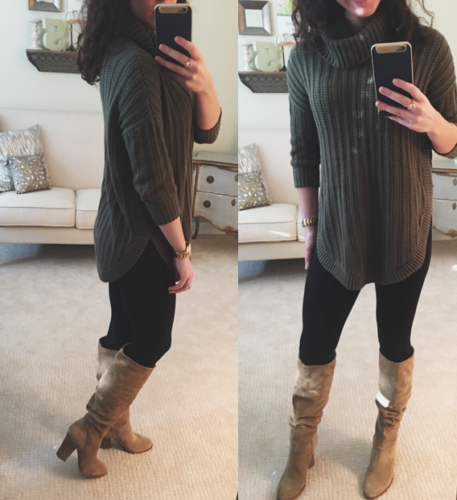 These boots are another Steve Madden favorite. A bit of a splurge, but extremely high quality and durability. I’ll keep an eye out for price decreases!